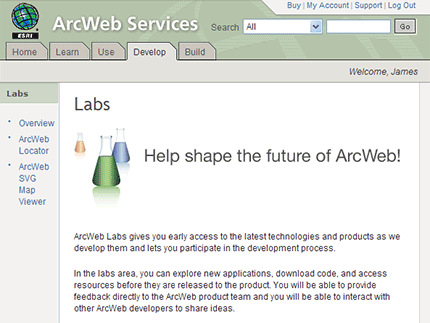 I didn’t think we’d be seeing it this soon, but it appears that ArcWeb Labs at least has a webpage. I tried to get into the SVG Viewer, but I’m getting a java error on access. At least this is something to add to your bookmarks or del.icio.us.